Coachyard Mews is a delightful modern development of six 2-3 bedroom pet friendly holiday cottages, with adjacent parking, set right in the town centre of Padstow, with its picturesque working harbour, famous restaurants, public houses, boutiques, banks and shops. In addition there is Thyme Cottage, a single storey cottage, with a large conservatory on the outskirts of town yet within easy walking distance, a route which takes you along the scenic Camel Estuary. This property lies in a quiet rural location and is approached by a single track lane. All seven properties have been under current private ownership since the early 1990's and have been continually well maintained throughout and to a very high standard. For those who want something special to help soothe away all the stresses of the everyday, there is a garden hot tub now available in No.4 Coachyard Mews for the exclusive use of guests in residence. 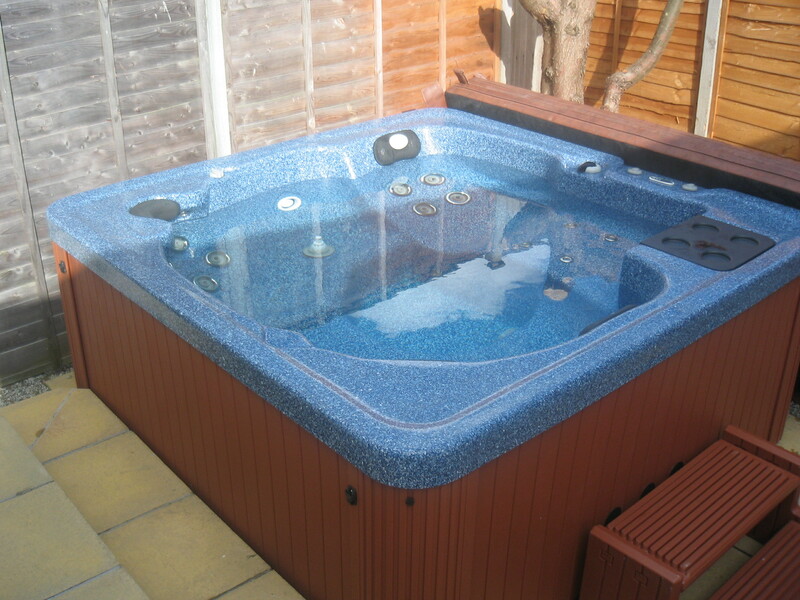 Pamper yourself in the sunshine, or by starlight in this wonderful, highly recommended, 6-seater 29 water / air jet hot tub in water temperatures of up to 40 deg C. Rental from £85 per week. Tariffs and availability page regularly updated. Most major credit cards accepted as well as internet banking. More details available upon request.